Seventh-grader Leona Tyler won Norwich Middle School's annual Spelling Bee on Thursday night, January 17, earning the title and a trip to regional competition for second straight year! 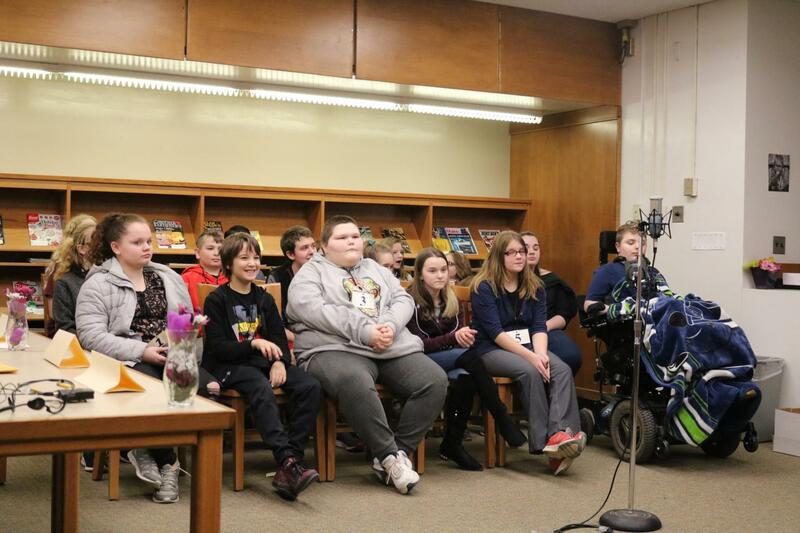 The NMS Spelling Bee drew 19 students to the Norwich High School library for a chance to advance to The Daily Star Regional Spelling Bee, which is set for March 2 at SUNY Oneonta's Goodrich Theater and will feature finalists from 35 other schools in the DCMO and ONC BOCES regions. Norwich's competition went eight rounds, with the field cut to six by the end of Round 4. The final round came down to Leona and eighth-grader Donovan Gillen, who missed "martyr." Leona then correctly spelled "diminutive" to clinch her second consecutive NMS championship. The regional winner will earn a trip to Washington, D.C., for the big event, the annnual Scripps National Spelling Bee. Good luck to Leona, and congratulations to all of our spellers!